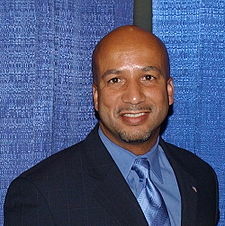 In perhaps the world’s least surprising news item, former New Orleans Mayor Ray Nagin has been indicted on federal corruption charges. Nagin was a disgrace during Hurricane Katrina in 2005 and was notorious for bizarre and self-absorded conduct. His reelection in New Orleans soured many on the idea of giving additional relief to a city that would retain such an utter failure as a mayor. Now, Nagin will face 21 charges including bribery, money laundering, fraud and filing false tax returns. Nagin allegedly raked in payoffs and kickbacks through an array of checks, cash, wire transfers, personal services and free travel from businessmen seeking favorable treatment from the city. This included “no bid” contracts given to a city contractor. Some of the alleged brides went as high as $60,000 and one took the form of granite inventory from a city construction contractor. I have long been a critic of Nagin who was retained in office by a mix of racial politics and cronyism. However, it took term limits to get him out of office despite a record replete with incompetence and arrogance. As a former resident of New Orleans, he came to represent the worst of New Orleans politics for me. What is curious is that this indictment took so long — a delay that could open up areas for attack from the defense at any trial. 1. Justagurl is absolutely correct. It is just that most people in America have long been conditioned into thinking that the status quo is perfectly acceptable ethical and moral behaviour. On timing, no … I don’t think so really. He is a politician, a Democrat and he is not white. Surely those are plusses are they not? Y’all are white washing the best, read scum…. To come out of Louisiana….. The one and only grand wizard….to serve in the House… David Duke….. Lets get the ropes out and start the lynching now….. Yeeeeeeehaaaaaaa…. I’m with OS. I frankly don’t know how anyone could survive a term as mayor of New Orleans without being indicted. New Orleans politician found to be crooked. Ice is cold. Water is wet. Poop stinks. Nothing to see here, move along.